Vegan campaigners have released a video from a major pro-dairy event - which they say reveals 'skeletal cows with huge udders'. The footage was filmed by animal welfare charity Viva! at UK Dairy Day. According to the event organizers, UK Dairy Day is 'a dedicated annual one-day event for the dairy industry held...at a key time of the year when plans and decisions are being made for the winter'. 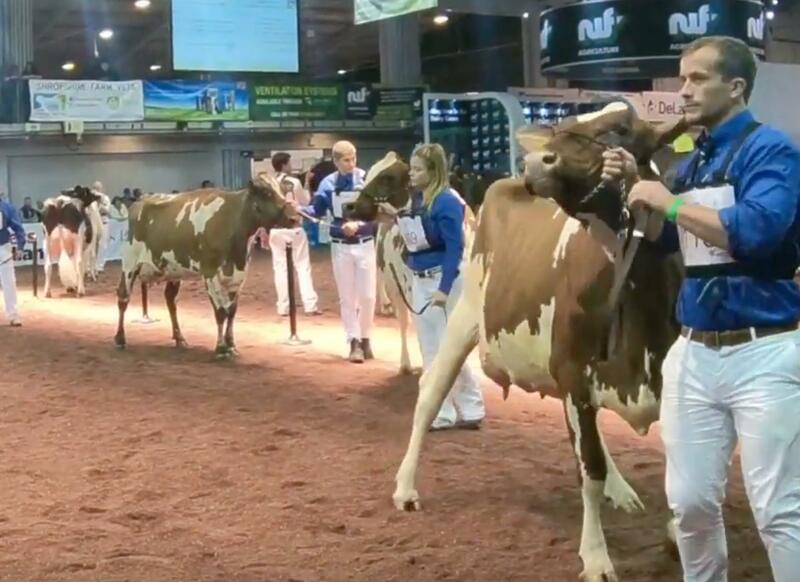 During the event, farmers display cows at a number of cattle show events, with breeds including Brown Swiss, Jersey, and Dairy Shorthorn on the timetable. "The dairy farmers show off the cows they're proud of and one's mind boggles over what they consider normal, acceptable and even desirable," said Viva!. "The cows -'best milkers' - have their hair clipped for the event and it's so short you can almost see their skin, those that are mostly white appearing pale pink." "Everyone is strangely fixated on making the cows' udders extremely big - leaving the cows unmilked for as long as possible, their udders so full they can't walk properly and most of them are dripping, if not outright streaming, milk," the charity added, believing the animals were 'obviously uncomfortable'. "The farmers even put gel on the udders so they're gleaming but for anyone who doesn't share this obsession, it looks simply bizarre - in particular in the sharp contrast with the cows' skeletal bodies." Plant Based News has contacted UK Dairy Day for comment.